1 bed - These one-bedroom apartments include, wooden flooring, carpets to bedrooms and ceramic floor tiles in the bathrooms. Fully Fitted kitchens with integrated Siemans appliances. These London serviced apartments are newly built in 2012 and are located in Clapham. 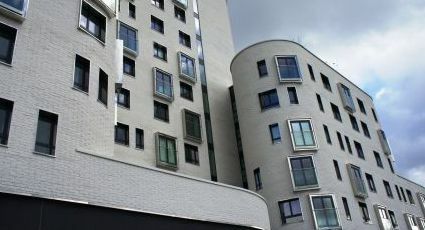 The apartments are a five minute walk from Clapham High Street railway station and a five minute walk from both Clapham Common underground station and Clapham North underground station. The one bedroom apartments have a fully equipped kitchen with a dishwasher and a washer/dryer. Some of the apartments benefit from a balcony. Guests can also use the communal roof terrace which has 360 degree views of London. The living area of each apartment features an HD flat screen television with Freeview and a work desk. Some apartments also have an MP3 plug-in facility. Free wireless internet access is available. GETTInG HERE BY TRAIn 15 minutes via bus from Clapham Junction and 5 minutes from Clapham north and Clapham Common tube stations. Waterloo via the northern line in 11 minutes. Other City destinations are 15minutes away. GETTInG HERE BY CAR From the east on the A13, head south alonf Aldgate high street, down Minories, left along Lower Thames Street and across London Bridge on the A3 straight into Clapham, from the north, cross Chelsea Bridge and head south on the A3216. From the M23 in the South, stay on the A23 bearing left on the A205 until you get to Clapham.